Let me make it very clear: I don’t like golf. It’s nothing to do with the game itself, but for the fact that it is a land hog, exclusive to one sport and restricted to private members, with no space afforded to the general public (full disclosure, I don’t play typical golf, but a derivative: disc golf). 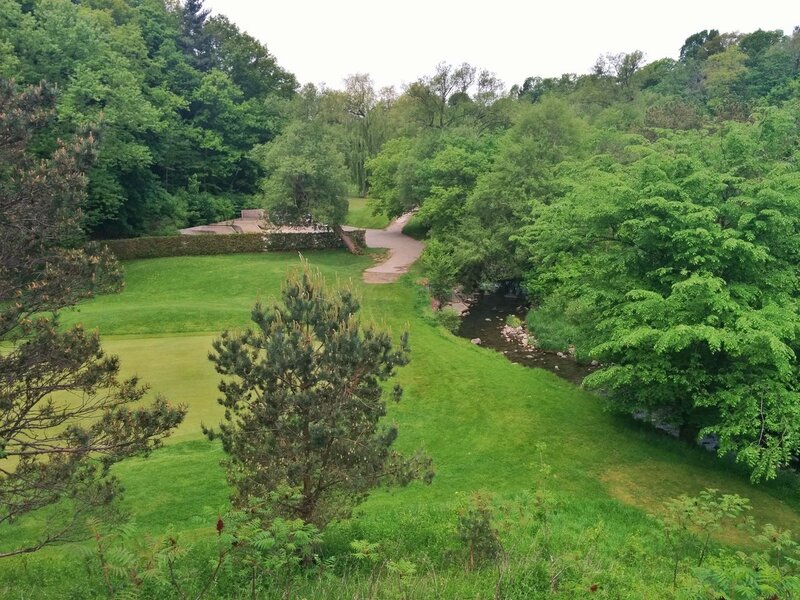 In the Greater Toronto Area, a number of golf courses were established and have taken hold in ravines. This creates a problem in two parts: it fractures the natural corridors of our city. The first part is obvious: golf courses, with their sprawling greens, are heavily managed to allow for a good game. This fragments the surrounding ecosystem, loads rivers with fertilizer, and foregoes the ecosystem benefits of having that land covered in natural vegetation. The second part is that, because golf courses are mostly restricted to club member access, they create major gaps in Toronto’s active transportation network. They hog the banks of rivers and creeks, which are often conduits for high-quality hiking and biking trails. This is detrimental to the broader regional network, and in fact, the Toronto and Region Conservation Authority (TRCA) recently released a draft Regional Trail Strategy that is directly or indirectly impacted by at least a dozen of them. They can also be barriers to access from and between local streets and neighbourhoods, making them less walkable and cyclable. When food and beverage contracts at two city-owned golf courses expired in November 2017, the city noted that golf participation rates and revenues have been declining, and that some city-owned courses struggled to break even. This triggered the question of whether the city should be owning golf courses at all. My opinion: absolutely not. A city government has no business owning land that is restricted to a single activity and charging fees for access, let alone putting public resources towards them. 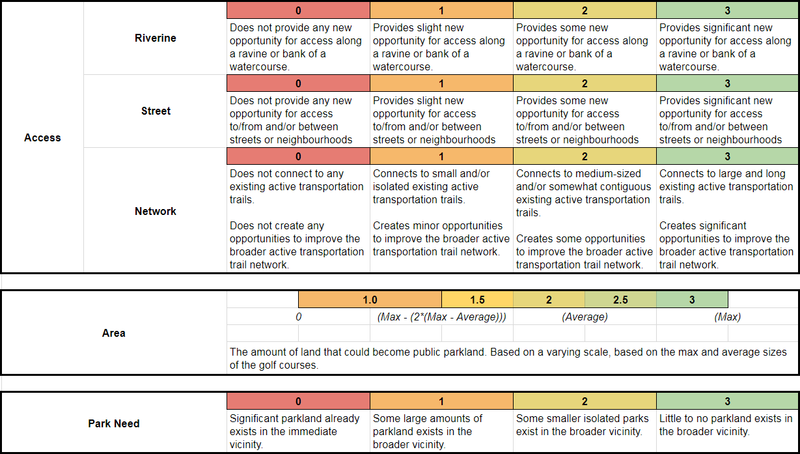 So this spurred me to look at the 7 city-owned golf courses, as well as 12 private courses, to see how much of a barrier they are in these respects, and rank them in terms of parkland and active transportation criteria. Below are the top 7 courses (3 public, 4 private) that could improve Toronto’s ravines and trail systems. 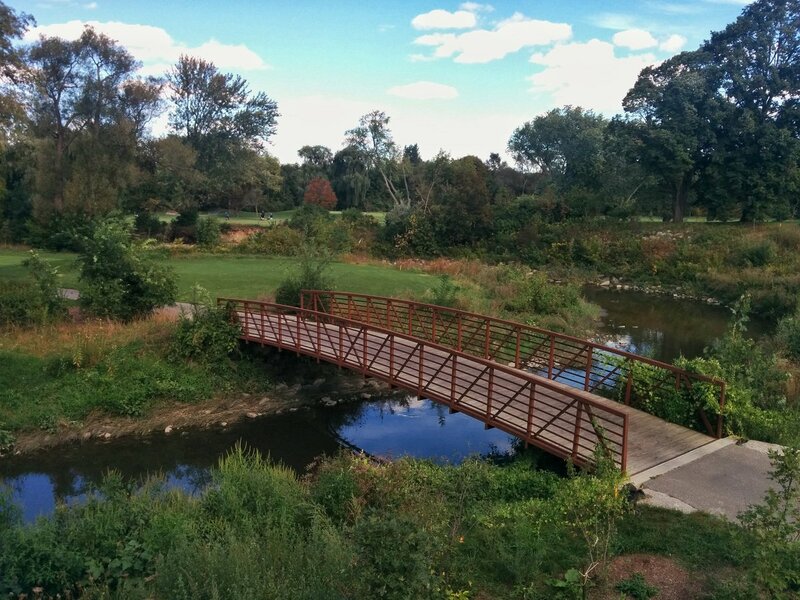 Don Valley Golf Course occupies over 2 kilometres of the West Don River, from the northwest corner of Yonge and Wilson, under the 401 to the southeast corner of Earl Bales Park. It also covers over 47 hectares of land, making it the second largest of the public golf courses. This course is notable for being steps from a subway station, and within reach of high density populations at Sheppard-Yonge, giving it significant potential as an active transportation corridor. Multi-use trails stretch along most of the West Don to the northwest, all the way into Vaughan. 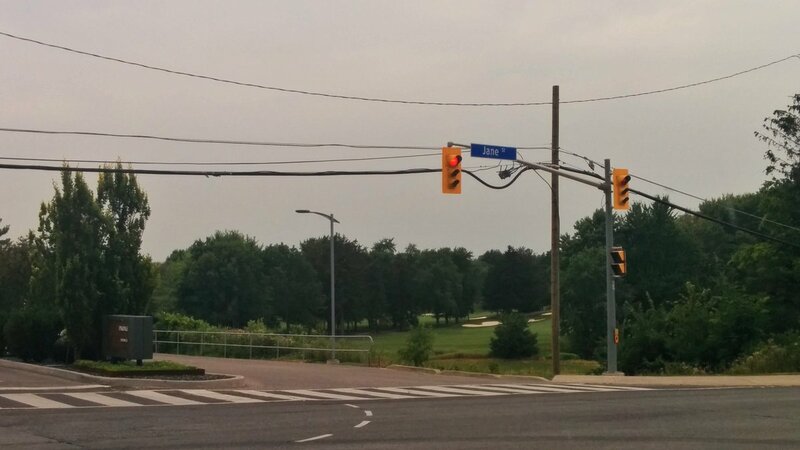 Converting this course into parkland would create a direct pedestrian and cycling access from a number of residences in the Wilson Heights, Armour Heights, Lansing and southwest Willowdale neighbourhoods to Yonge Street and the subway. It would also create an opportunity to fill a dangerous sidewalk gap along Yonge. Currently, if you are travelling north from Wilson on the west side of Yonge, the sidewalk suddenly ends 200 metres north of William Carson Crescent, forcing you to backtrack, or try to jaywalk across 6 lanes of traffic on Yonge plus an offramp from the 401. It’s a dangerous proposition, and coming southbound is marginally better, with one formal onramp crossing and a pedestrian bridge over Yonge. 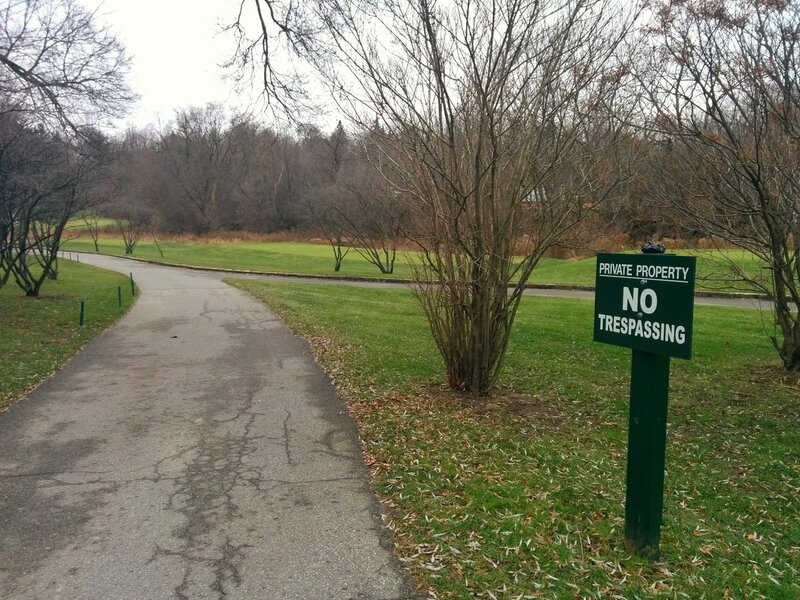 A full-on trail bypass is a solution that could be facilitated, in part, by opening up the golf course to the public. Royal Woodbine Golf Club is a very long a stretched out course, covering about 3.5 kilometres of Mimico Creek. This course is notable for being in what I refer to as the “Pearson Triangle”, an area bounded by the 401, 427 and the GO Transit Kitchener line. This area has almost no parks in it; with the exception of some land south of Disco Road and north of the 409, the only open space you’ll find will be isolated patches along hydro corridors. It’s hard to argue for park space in an area with no residents, low rise commercial buildings, and airplanes screaming into and out of Pearson. But remember that this is about naturalizing a stretch of Mimico Creek, and also providing an active transportation link. That has benefits for the environment, as well as workers and customers who don’t have a car. The success of this stretch also depends on addressing barriers to travel north and south of the course. 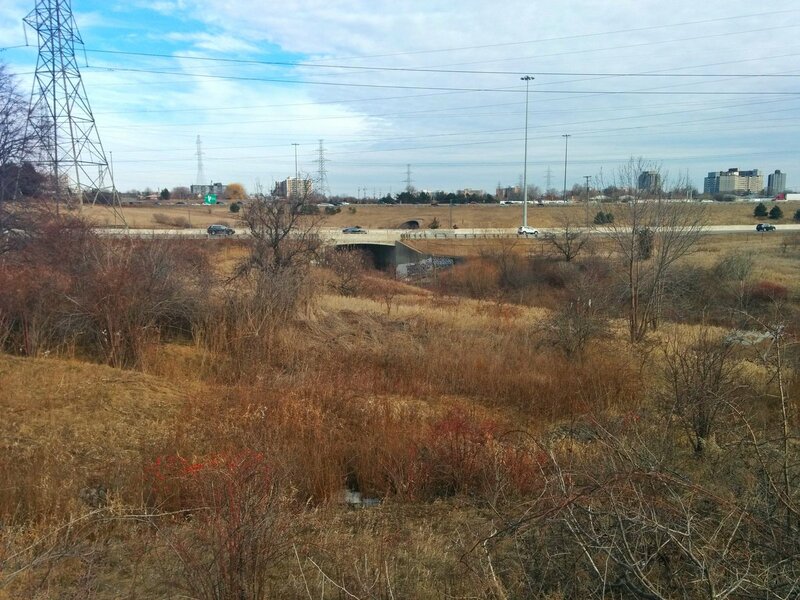 The 401/427 interchange, immediately to the south of the course, represents a huge barrier the Pearson Triangle and a fairly contiguous creek-side trail south of Eglinton Avenue. There are no sidewalks or trails west of Carlingview Drive either. So even if Royal Woodbine could be converted with trails included, it would be considered quite isolated in the broader network, and this knocks it out of the top spot in the ranking. Dentonia Park is along a short 400 metre stretch of Taylor Massey Creek. It is also the smallest of all Toronto golf courses by a long shot: 13.7 hectares, with the next course coming in at over 20 hectares. This course is small, but its location is critical. It’s the only break in an otherwise continuous, grade-separated, high quality, 13.5 kilometre natural active transportation corridor from Warden Subway Station all the way to Lake Ontario. By opening this course up and creating a grade-separated crossing of Victoria Park Avenue, you could commute by bike without encountering any cars outside of the first and last mile. It would be a #bikeTO fantasy come true. Oakdale Golf and Country Club covers 1,300 metres of Black Creek, which is mostly concentrated in the south part of the course. It is also the largest course in Toronto, covering 88.7 hectares. 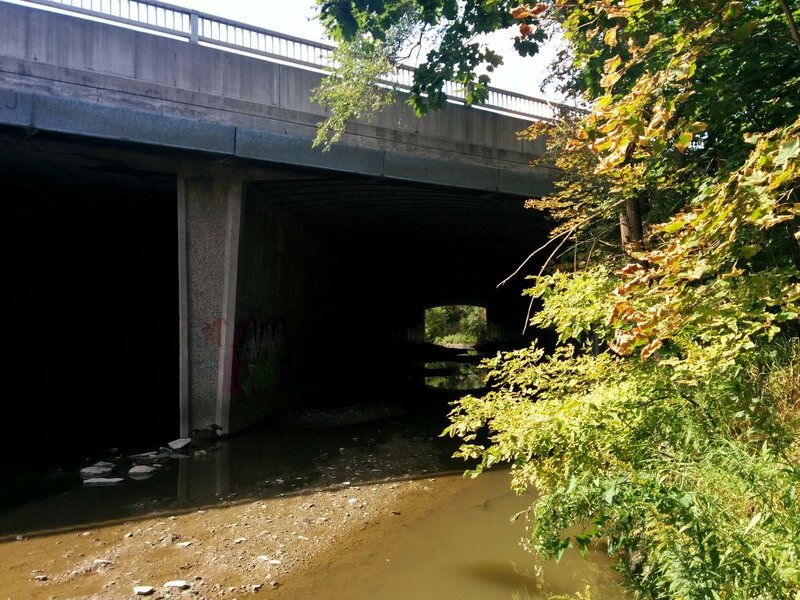 Oakdale is a barrier to continuous trail access along Black Creek, and opening it up connect Downsview Dells and Chalkfarm Park. 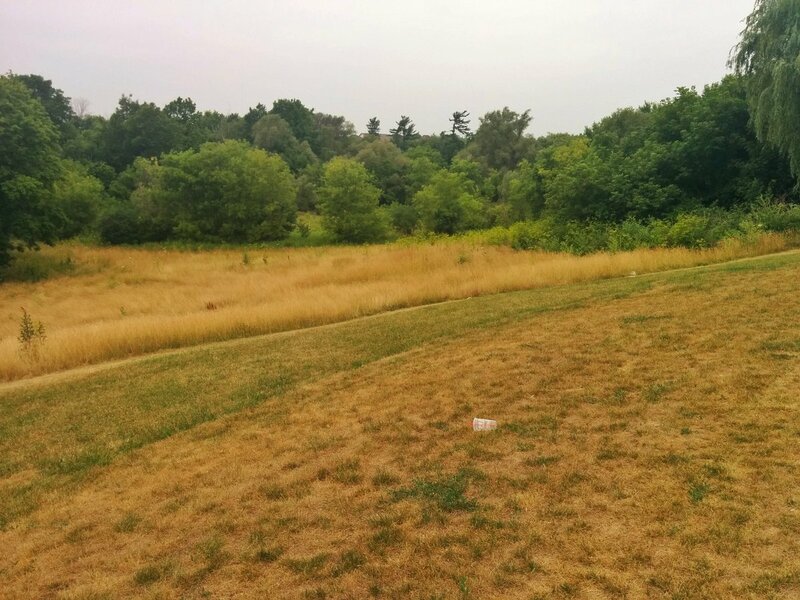 The TRCA has proposed a creative solution to the golf club’s presence by proposing a trail corridor that follows Heathrow Creek to Jane and Wilson, and then redirects users to the Humber River valley. I have provided feedback on the latter part of TRCA’s proposal. However, this is not an optimal routing, as it still requires climbing out of the Black Creek ravine, and it diverts users away from existing parkland in Chalkfarm Park. 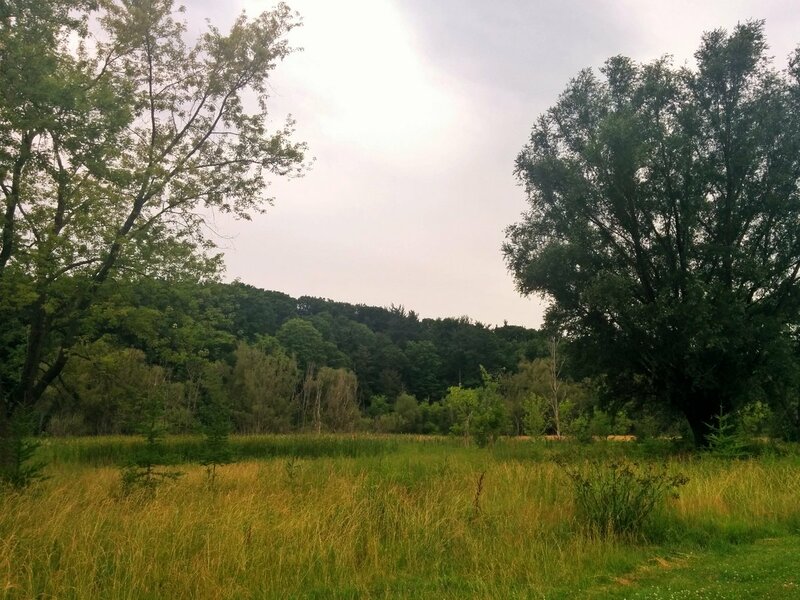 This golf course could contribute towards a complete trail network from York University to Jane and Wilson, and has the potential to add significant natural lands to the Black Creek watershed and the broader Downsview community. 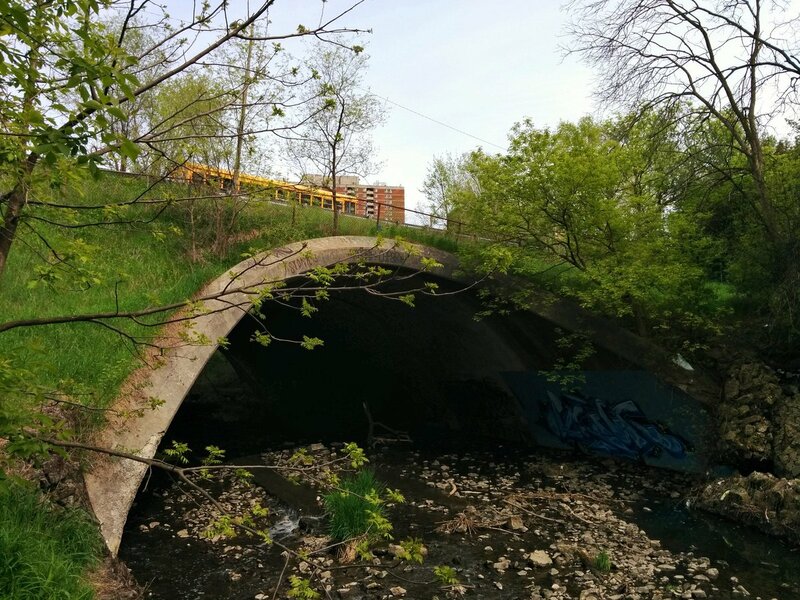 The Donalda Club spreads over 3.25 km of the East Don River, 800 metres of Deerlick Creek, as well as a total of nearly 500 metres of at least three other minor streams. It is the second largest course in Toronto, covering 77.2 hectares. 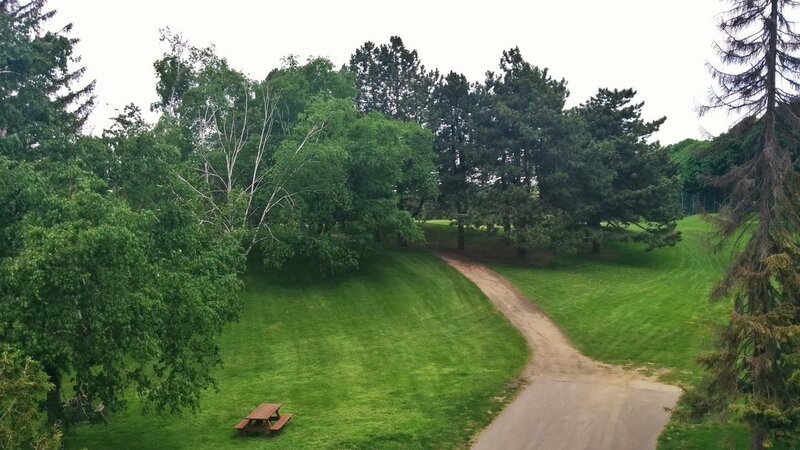 Donalda is actually the one course to my knowledge that allows some limited access: you can cross between the end of Three Valleys Drive and Chipping Road via a short walkway across the course. However, the owners make it very clear that straying left or right is trespassing on private property. The result is detrimental to the trail network. Existing adjacent trails along the East Don Trail currently end north of Lawrence Avenue East and east of Don Mills Road, creating a gap in what will otherwise be a continuous trail from the city’s north boundary to the lake (once the trail between Wynford Drive and the Forks of the Don is completed). 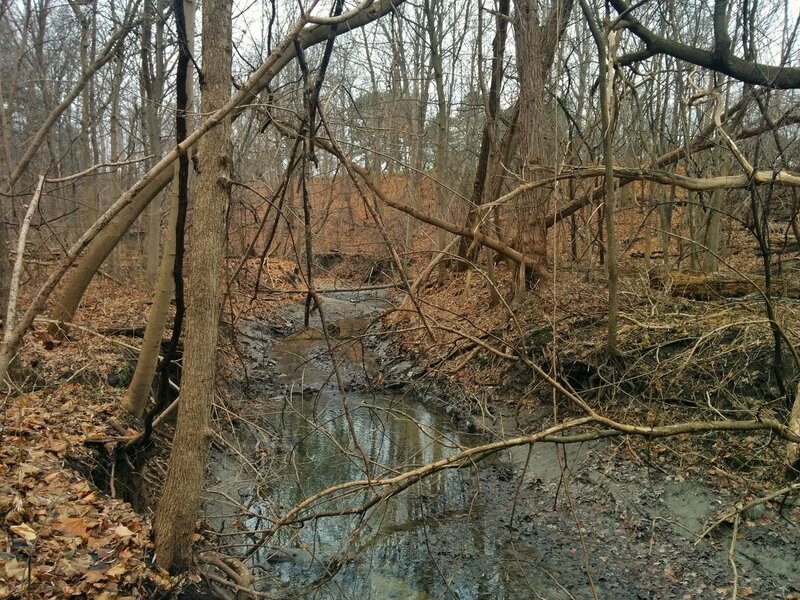 There are also three potential connections to existing local trails along Deerlick Creek and two other unnamed tributaries. Opening up this course would make a significant improvement to local and regional trail systems. 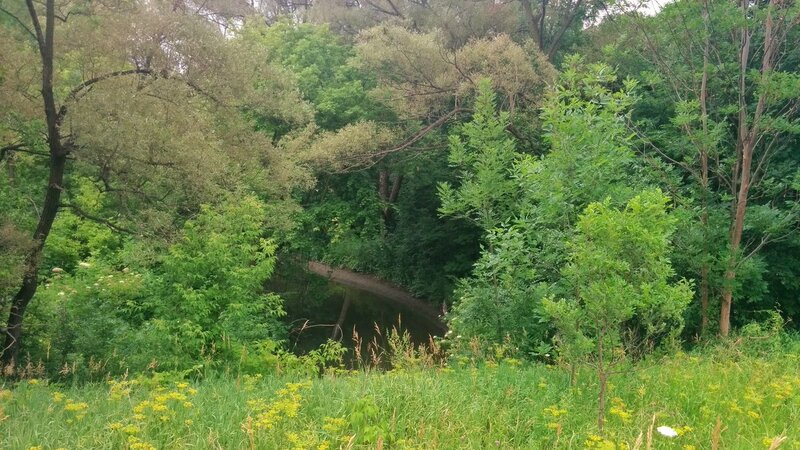 Islington Golf Club spreads over 1.8 km of Mimico Creek. 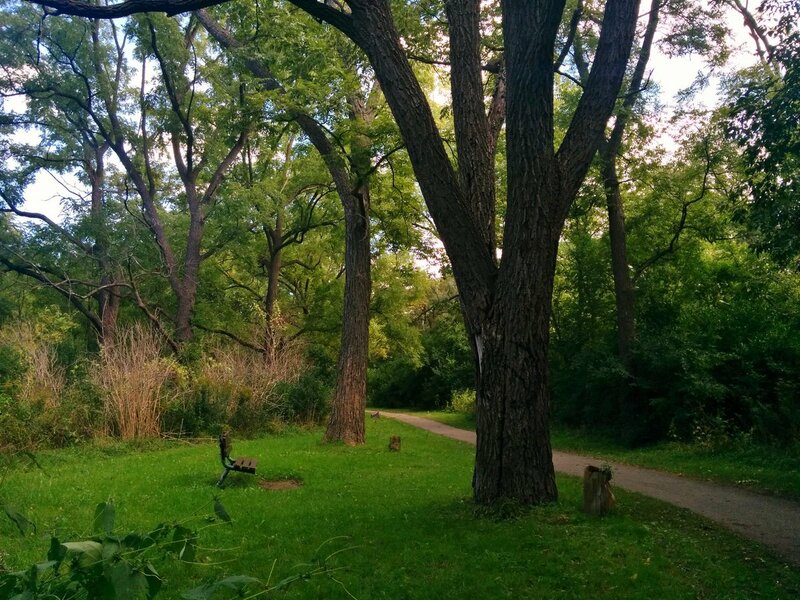 It is a medium-sized course relative to others within Toronto, covering 51.2 hectares. 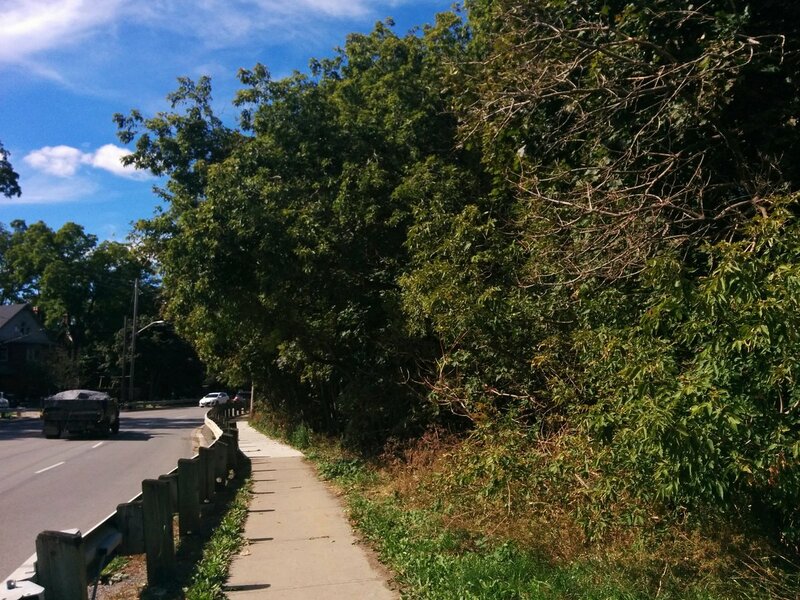 The Islington Golf Club creates a gap in the trail network along Mimico Creek. Trail users must currently divert via Kipling Avenue, Burnhamthorpe Road and Dundas Street West to get between the trail segments. It’s not the worst detour in the city, but it’s enough. Closing this gap could contribute towards a continuous trail between Eglinton and Bloor, and perhaps further north to the Pearson Triangle (see Royal Woodbine above) and further south if existing segments were stitched together. 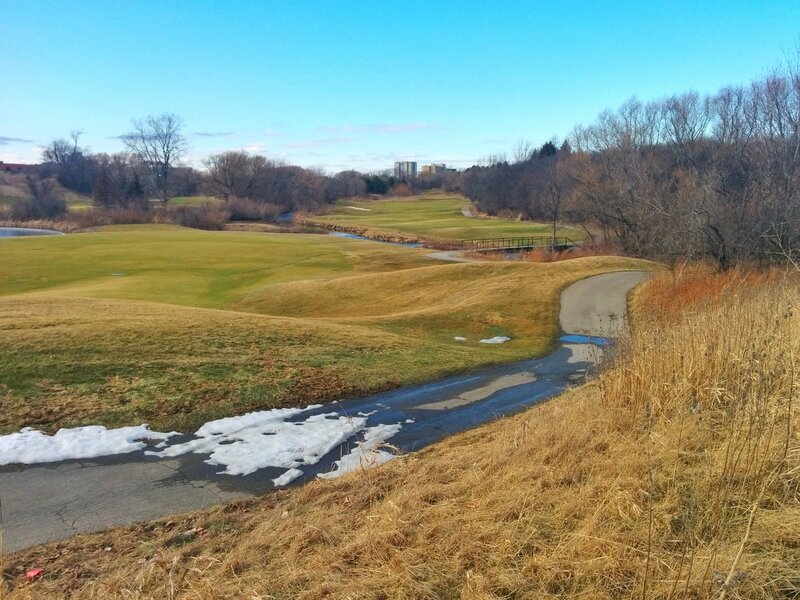 Markland Wood Golf Club spreads over 2.75 km of Etobicoke Creek. 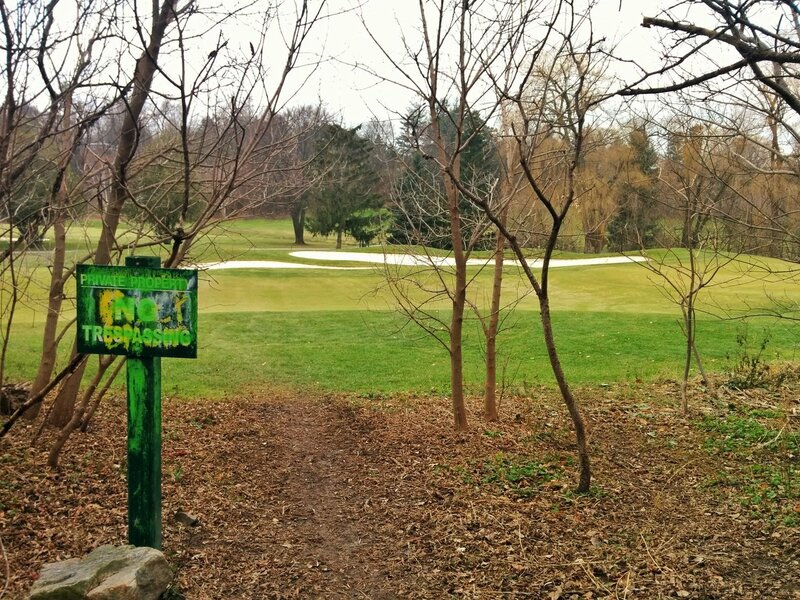 It is also a medium-sized course relative to others within Toronto, covering 46.0 hectares. 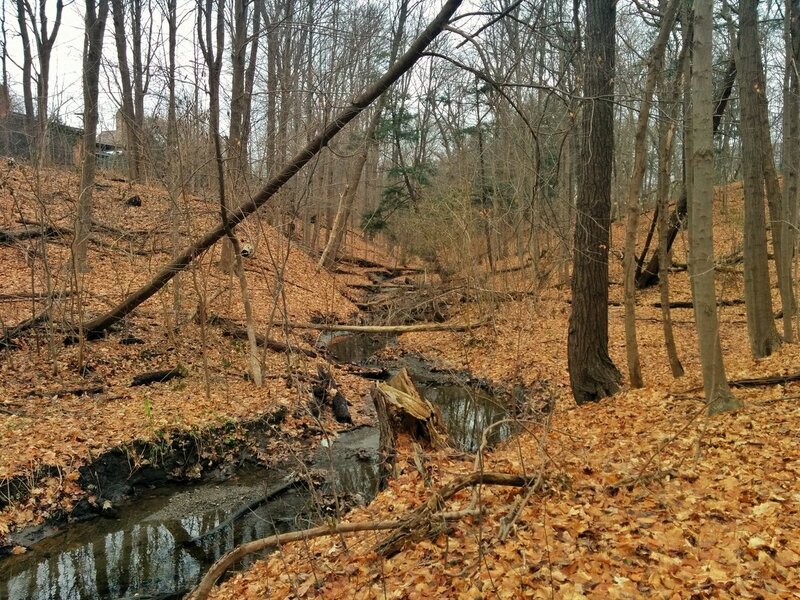 Markland Wood creates a gap in the trail network along Etobicoke Creek. While “Tributary 4” provides an alternative parallel route, it can feel tight and confined relative to the open valley of the main creek. Closing this gap could make a continuous trail from Dixie Road (north of Courtneypark Drive) to Dundas Street, and all the way to Lake Ontario once the gap between Dundas and the Queensway is addressed. Again, this is something the TRCA has proposed, and I have presented a counterproposal on. These seven courses received a score of 3 in at least three categories of evaluation. The evaluation of all courses, the evaluation criteria, and a map of the courses are posted below. Do you agree with the ranking? Are there criteria that were missed or require more weight? Let me know what you think in the comments. Trevor: This is a great article. No doubt there are commercial interests who covet these precious city-owned spaces. 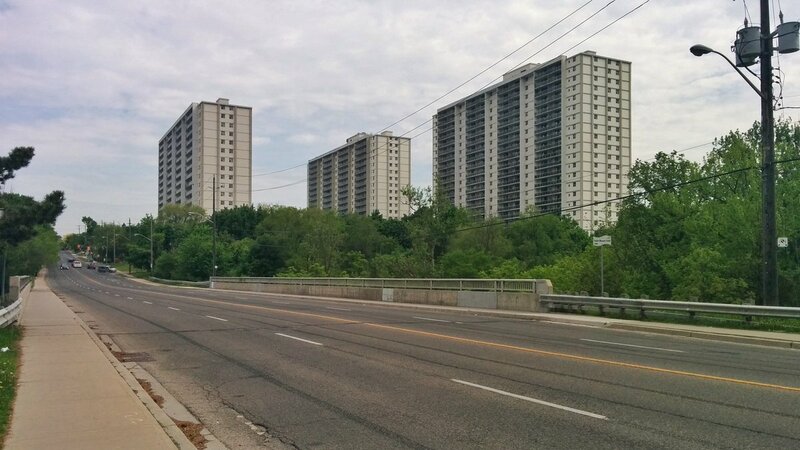 We should be vigilant that Toronto Council doesn’t give these away to developers. As for private courses, many Toronto clubs enjoy a substantial tax break and in return do nothing for citizens who subsidize them. P.S. How can I subscribe to your blog? Hey Roy, I’ve added a follow option at the bottom of the site pages. Thanks for the feedback!